The WNBA may end up missing another star next year. 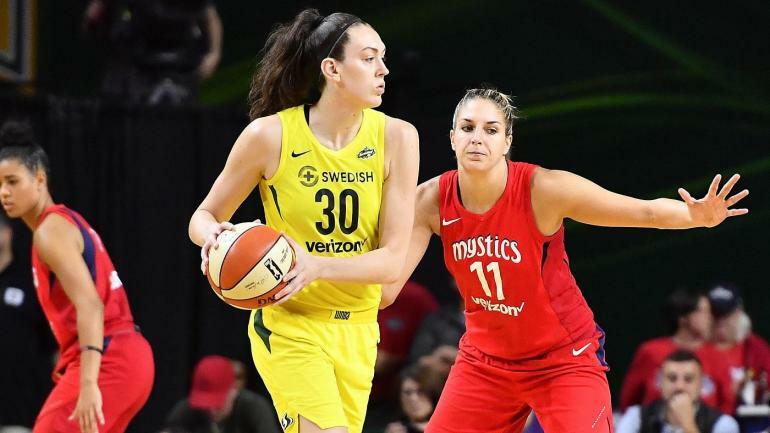 Seattle Storm forward/center Breanna Stewart — the reigning WNBA MVP — tore her right Achilles tendon on Sunday in an international game. Playing with her Russian squad the Dynamo Kursk, Stewart landed on her USA teammate Brittney Griner and sustained the injury, dealing a devastating blow to the Storm for next season. At just 24, Stewart is already a premier player in the league. She averaged 21.8 points per game and 8.4 rebounds per game last year, and she’s been an All-Star the past two seasons. It’s a shame for the league as a whole, but the bright side is that Stewart has a bright future ahead of her. Although it’s a long recovery, Stewart has the talent to get through it.